The all-new RAM 1500 is as tough as they come and then some in Palestine, TX. Experience the superior capability and performance firsthand at Elliott Chrysler Dodge Jeep Ram Fiat Palestine. The RAM 1500 has a longstanding history of gritty toughness and performance under pressure. The newest generation is not an exception. In fact, some have even gone as far as to say that the latest RAM 1500 is indeed the greatest yet. The RAM 1500 has the incredibly unique distinction of earning the highest owner loyalty of any half-ton pickup on the market. Now that’s a ton of love, so to speak. This level of trusted loyalty certainly didn’t come overnight. The RAM 1500 has been outperforming the competition for years now. That’s why so many RAM owners simply refuse to part with their beloved 1500’s. After all, when you find the best, why on earth would you settle for anything less? Truck owners know all too well that a pickup doesn’t get an ounce of respect just by showing up and looking good. The proof is in the pudding. It’s about what that pickup can do for you; and what you can accomplish in it. You need a rough and tough machine that has the capability to not only work hard but to play hard, too. That’s the mentality of most truck owners, and if that’s how you get it done, then the RAM 1500 is the best choice for you. Now that you can so clearly see yourself inside the all-new RAM 1500, it’s time to see yourself enjoying a buying experience that is tailor made to suit you and your specific needs. That’s where the RAM pros at Elliott Chrysler Dodge Jeep Ram Fiat Palestine come in. Our team has the ability to give you more than the average truck store. Our attention is squarely focused on your goals and on your total satisfaction. Buying a truck like the RAM 1500 should be an exceptionally enjoyable experience. We’re here to make it easier than you ever thought possible to get up in the cab of your own RAM 1500 pickup. Instead of throwing up roadblocks that stall or even derail your plans when looking for that perfect truck, we step aside and let you lead the way. As you know, in TX we work hard and we play hard. There’s no time to waste on hassles or haggling at some pushy dealership. You have things to do. 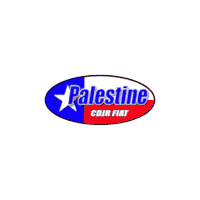 Elliott Chrysler Dodge Jeep Ram Fiat Palestine values your time as much as you do. That’s why we not only make it easy with superior service and a personalized experience, but we stay on top of our pricing to give you the best overall value and most bang for your buck around. Give us a try today. You might even find yourself driving home in the perfect, and perfectly capable, RAM 1500 truck you need.